In 1872, Major General John M Schofield visited the Hawaiian Islands to determine the defense capabilities of the various ports. In his report to the Secretary of War, Schofield advocated securing the exclusive use of Pearl Harbor through a reciprocity treaty with the then Kingdom of Hawaiʻi. Situated between the two major mountain ranges on Oʻahu, with central access to both the North Shore, Pearl Harbor and the City of Honolulu made it an excellent strategic location. 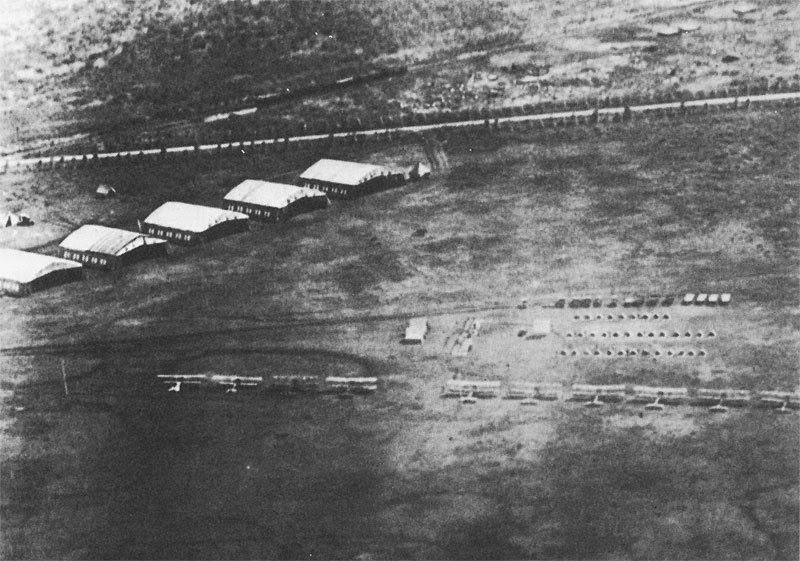 Schofield Barracks was established on December 4, 1908, with the arrival of Captain Joseph C Castner and his construction of a temporary cantonment (headquarters and quarters) on the Waianae-Uka military reservation – first, tents for officers and soldiers; then, temporary wooden barracks. 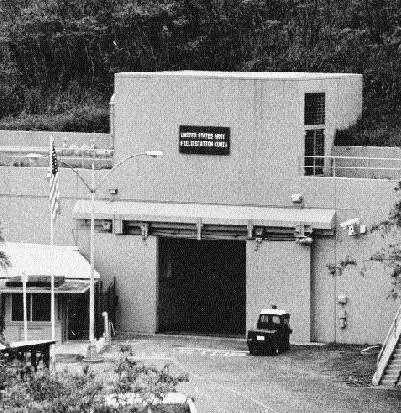 The temporary facility was informally referred to as Castner Village; some called it the Leilehua Barracks (after the Leilehua Plain on which it is located.) In April, 1909, the War Department chose to name the post after the late General John M Schofield, former Commanding General of the US Army, who had originally called attention to Hawaiʻi’s strategic value. In 1910, the United States Army District of Hawaiʻi was formed under the command of Colonel Walter Schuyler at Schofield Barracks. It originally fell under the jurisdiction of the Department of California and then became a department in the newly organized Western Division. In late-1911, the Secretary of War approved recommendations for a seven-regiment post. This would rival the Army’s largest existing post at the time (Fort Russell in Cheyenne, Wyoming.) The number of troops continued to increase, and in 1913 the Hawaiian Department was formed as an independent command under the War Department. Permanent facilities were urgently needed. The configuration of three barracks and one administration building surrounding a central courtyard became known as a “quad” (quadrangle.) The quads at first took their names from the troops residing in them, i.e. the 35th Infantry Barracks or the 4th Cavalry Barracks. The alphabetical designations currently used were assigned at a later date. Quarters for the officers and their families were constructed at the same time as the barracks. The need for soldiers trained to fight under tropical conditions arose and the Jungle Training Center, later called the Ranger Combat Training School was formed in late-1942. The Hawaiʻi Infantry Training Center (HITC) was opened on March 14, 1951. Almost one-million soldiers went through the training center at Schofield before being sent overseas. With the construction of housing on the old training fields and in light of the greater range and fire power of the new weaponry, larger training areas were needed. Pōhakuloa on the island of Hawaii, Makua Valley, Helemano, Kahuku and Kawailoa were used. Most of these training areas are still actively used by the 25th Infantry Division today. Today, the Schofield Barracks Area includes Wheeler Army Airfield and Helemano Military Reservation and consists of 16,600-acres. Two brigades of the 25th Infantry Division and other units that support them are housed there. There are approximately 14,000 military personnel as well as 2,000-civilian employees who work and train at Schofield. 21,100-soldiers and their dependents live on the premises. 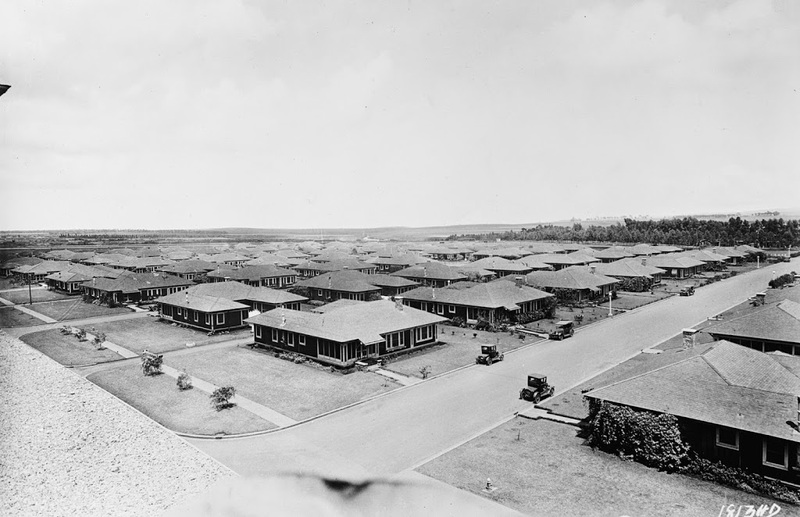 The image shows housing at Schofield Barracks in 1925. (Lots of information here is from NPS and Army-mil.) In addition, I have added other images in a folder of like name in the Photos section on my Facebook and Google+ pages.